CONSPIRACIES -- been thinkin' of em' since birth. 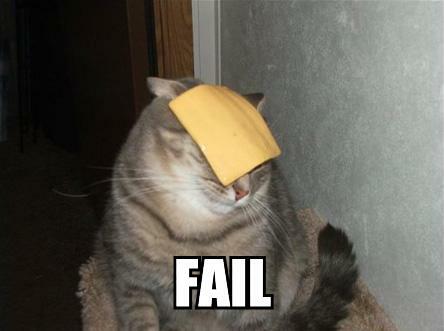 Is that a cat fail or a cat and cheese fail [likewise intertwined]? Pokemon and candy, the things I thought about in a more innocent time in my life. The things in my mind now are...well, interesting. Only one I can think of atm. A Little Help From Others Can Be a Great Blessing.